The FR6Q accomplishes its drastic noise reduction via a patent-pending spring-loaded rocker design. The rocker contains the input gear and controls the internal backlash due to the way the rocker pivots on the idler shaft. This allows the entire assembly to self-adjust, eliminating all backlash and removing virtually all gear rattle noise. The FR6Q fits 4x2 and 4x4 Ford Super Duty trucks, F-350 to F-550, with the Ford 6R140 transmission (may also be used on F-650 and F-750 trucks). 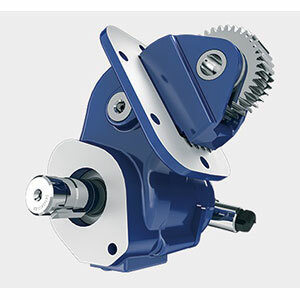 The Muncie Start is an electronically controlled, modulated clutch engagement system from Muncie Power Products that eliminates torque spikes through the power take-off, truck drivetrain and mounted auxiliary equipment upon startup for high-inertia loads. Allowing for a smooth engagement of the power take-off, Muncie Start increases the life of the PTO and driven mechanical components.